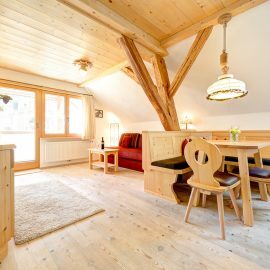 Welcome to our sunny apartment Katharina with a fascinating panoramic view of the Brandner mountain scenery and the village of Brand. Our motto is arrive and feel good. 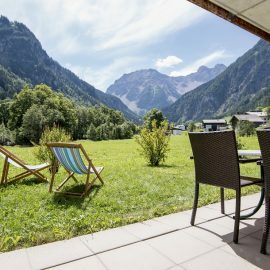 In addition to silence and seclusion you can use numerous sports activities in the immediate vicinity. 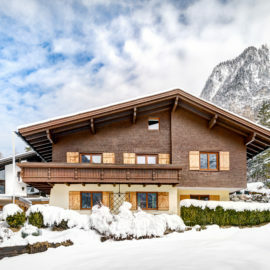 In winter you can reach the Schedlerhofübungslift and the ski school in a few minutes (2 min). The entrance to the ski area at the Dorfbahn in Brand can be reached in about 15 minutes. Directly at the village railway is in the sports shop Bertel, where you can rent a ski depot. Our apartment is in summer, as in winter direct starting point for many walks in all directions.